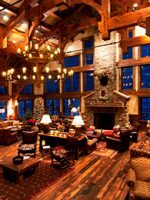 The Medicine Bow Lodge Adventure Guest Ranch is nestled into the Snowy Range about 20 miles from Saratoga, Wyoming and two hours from Steamboat Springs, Colorado. Operating since 1917, the current owners purchased the property in 2002 and truly enhanced the horsemanship of the ranch and riding possibilities. The maximum guest count is 15, making this a smaller ranch and extremely personal; therefore, much time and thought goes into matching horses with the guests. And, guests can preview the horses on the ranch’s website to get a sneak peek. 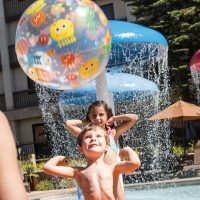 Families will be attracted to the summer program as the schedule is exciting and an excellent education opportunity as this is many guests first visit to the Rocky Mountains. The diverse riding opportunities are some of the best in the West. There are all-day rides, breakfast rides, overnight pack trips, sunset trip rides, fish and ride scenic trips (one of the only ones in all the nation!) and so many more options. Guests all can learn horse care, grooming and feeding and participate in these chores daily, or just watch or photograph. At the ranch, once the horses have been put to pasture each day, there’s much to be explored. 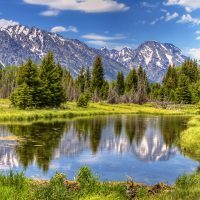 Guided animal tracking, evening campfires with s’mores, star gazing, games, dancing, outdoor photography instruction, basic roping technique lesson, cookouts, crafting, trap shooting and more. 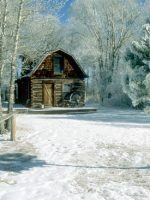 Since this is many families experience in Wyoming, the ranch also coordinates area activities in and around Saratoga. 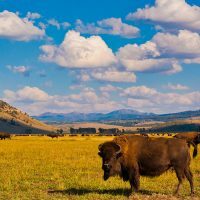 There are museums, rodeos throughout the summer weeks, day spas, shopping, float trips on nearby North Platte River, golf, and drives to learn about Wyoming wildflowers. It was my first time in Wyoming and at a dude ranch. The lodging was comfortable, the food was delicious, and the staff and hosts couldn’t be nicer. Great place to take in the views, relax by the babbling brook, horseback ride and explore medicine bow park. We'd talked about visiting a dude ranch for years but it was daunting to figure out the difference between the very pricey and the very rugged. 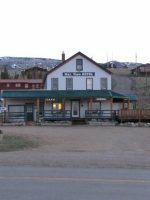 Tim and Debbie and the team at Medicine Bow could not have been more accommodating from my initial email, then phone calls, and finally during our stay. Their honesty and enthusiasm led my wife and I to choose MBL. We made the most of the opportunity to ride and relax. The horses were selected based on our skill level (low to non-existent!). The trails were extraordinary. We went up and down steep hills in the aspens and pines, crossed umpteen streams and meadows and enjoyed the companionship of the other guests (ranging from teenagers to oldsters like us). The accommodations are basic, clean, and comfortable. You have to take off your sneakers/boots to keep the 2x4 floors of the cabins clean and you have to get good at maneuvering in the made-for-submarine shower stalls. But if you didn't, this wouldn't feel like a ranch! The food is simple and delicious. Ranch fare. We might have liked a few more vegetables. Desserts are amazing! The staff is outstanding. Tim, Debbie and Susan are wonderful hosts who love to share their passion for the outdoors. The ranch hands are delightful college students/recent grads who are keen to make your experience fun. They leave it to you to tell them how challenging the ride should be, how much time to spend fishing, whether to hike this trail or that, and whether it's more fun to brush the horses or practice roping a steer. As we drove away to our next destination, we talked about who among our friends would find MBL as memorable as we did. Clearly, families with a sense of adventure will love it. However, even older couples (~ mid 60s) like us will really like MBL and all it offers. It's as much of an adventure as you make of it. Very highly recommended!